The AGV8009 is a full featured single phase brushless DC fan/motor pre-driver. Closed loop feedback allows for precise control of the motor's RPM under varying supply and load conditions. Maximum RPM is programmable via an RC time constant. 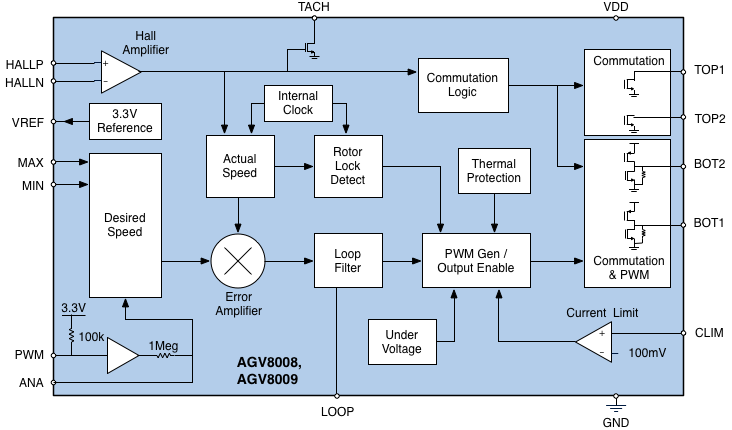 Precise variable speed is adjusted by varying the duty cycle to the PWM control input pin. Minimum RPM is programmable via a resistor divider to Vref. 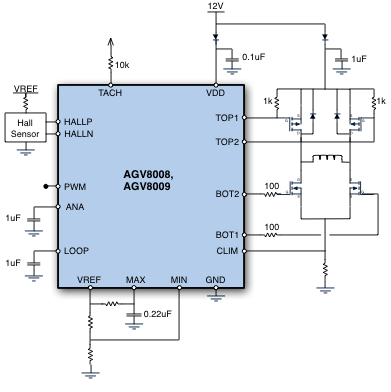 The analog control pin can be used to interface with a thermistor when the PWM input control is not needed. Soft start reduces inrush current at power on. Soft switching reduces audible noise. Current limit, locked rotor and thermal protections are also provided. The 40V MOS output predrivers can source or sink 100mA. The AGV8000 series of closed loop single phase pre-drivers offer a variety of feature combinations to meet different application needs. Product differences are summarized below. 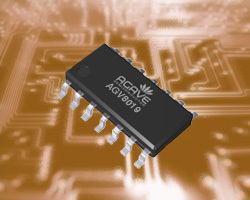 Agave Semiconductor is dedicated to improving electric motor efficiency and performance through intelligent control. 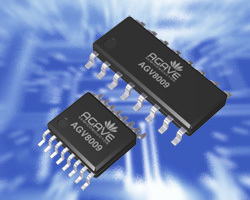 Agave Semiconductor adds new two brushless DC fan controllers to its closed loop pre-driver line up. Agave’s founder talks with inBusiness magazine about the Arizona startup community. 2018 © Agave Semiconductor. All Rights Reserved.